The U.S. has a catastrophically fragmented health care system that provides incentives for sick care instead of prevention. The system is in dire need of reform -- reform to save lives, to save families and to save money for both patients and the American health care system. When our friends at The American Academy of Family Physicians (AAFP) and Herndon Alliance (a nonpartisan coalition of more than 200 health-care provider organizations including the AARP, Mayo Clinic and Families USA) asked for our help, we produced this video featuring the doctors your family relies on for care. They are urging Americans to 'Heal Health Care Now'. Now, it's your time to stand with more than 450,000 doctors who support health care reform. Make your voice heard and call Congress to reform health care: (202) 224-3121. One of the more amusing quirks of the “birther” movement is the quality of the legal minds in whom Obama birth certificate obsessives are placing their trust — and their occasional donations. Phil Berg, the original “birther” lawyer, has been forced to pay out sanctions for legal malpractice. Orly Taitz, famously, got her law degree from an online correspondence school. And it turns out that Charles Lincoln, who has been assisting Taitz — he provided judges with amended complaints in Keyes et al v. Obama et al last week and he showed up at the last hearing on the case— has been disbarred in California, as well as Florida and Texas. From the May 2004 issue of the California Bar Journal, which reported on the matter: In 2000, Lincoln was convicted in Texas on a federal charge of falsely representing his Social Security number, a felony. As a result, he gave up his license to practice in the state. Originally charged with five felonies, the case resulted from Lincoln applying for a checking account using a false Social Security number. In a second matter, he was disbarred from U.S. District Court for the Western District of Texas after a federal judge requested an investigation of Lincoln because two of his clients had a falsified receipt. The receipt purported to be from the federal court clerk and represented funds the clients had given Lincoln. The clients believed Lincoln was depositing their money in an escrow account related to their case. Two days before a hearing by the federal court’s admissions committee, Lincoln went to his clients’ home, instructed them not to tell the judge that he gave them the receipt, which he asked them not to produce, and he gave the clients a cashier’s check for $6,000. He did not appear at the hearing. The eyewitness report of that hearing is worth reading, since it contradicts with Taitz’s original, hilarious report of a judge who took her seriously. Actually, Judge David Carter spent a lot of time trying to get Taitz to stop wasting the court’s time with antics such as reading her complaint into the record. We have already revealed in previous articles that Andy Martin is a blatant racist whose obsession with Obama is truly pathetic. This is the quality of people who are attacking the President and doing all they can to bring down our government in the name of patriotism. 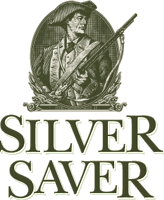 All Rights Reserved This site contains copyrighted material the use of which has not always been specifically authorized by the copyright owner. We are making such material available in our efforts to advance understanding of environmental, political, human rights, economic, democracy, scientific, and social justice issues, etc. We believe this constitutes a 'fair use' of any such copyrighted material as provided for in section 107 of the US Copyright Law. In accordance with Title 17 U.S.C. 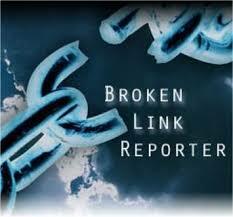 Section 107, the material on this site is distributed without profit to those who have expressed a prior interest in receiving the included information for research and educational purposes. For more information go to: http://www.law.cornell.edu/uscode/17/107.shtml. If you wish to use copyrighted material from this site for purposes of your own that go beyond 'fair use', you must obtain permission from the copyright owner. The Republicans, the party of NO, has now reached an even new low for them. Republicans are trying to rally opposition to President Obama’s health care plan by suggesting it will literally kill people. One GOP legislator said the reform plan is a way to advance assisted suicide. Can scare tactics like this prevent Congress from voting on the health care bill? MSNBC’s Rachel Maddow was joined by Sen. Bernie Sanders, I-VT to discuss these recent developments Tuesday night. Earlier Tuesday, President Obama fielded a question at a town hall hosted by the American Association of Retired Persons. “It‘s a whole new crazy conspiracy theory, unfolding where the craziest of them seem to be unfolding these days—among Republican members of Congress speaking on the floor of the U.S. House of Representatives,” Maddow said. Maddow played some clips of lawmakers and pundits advancing the “deather” argument. REP. VIRGINIA FOXX (R-NC): Republicans have a better solution that won‘t put the government in charge of people‘s health care, that will make sure we bring down the cost of health care for all Americans, and that insures affordable access for all Americans, and is pro-life because it will not put seniors in a position of being put to death by their government. REP. PAUL BROUN (R-G): A lot of people are going to die. This program of government option that‘s being touted as being this panacea, the savior of allowing people to have quality health care at an affordable price, is going to kill people. RUSH "OXYCONTIN" LIMBAUGH, RADIO TALK SHOW HOST: People at a certain age with certain diseases will be deemed not worth the investment, and they will just—as Obama said—they‘ll give them some pain pills and let them loop out until they die and they don‘t even know what‘s happened. 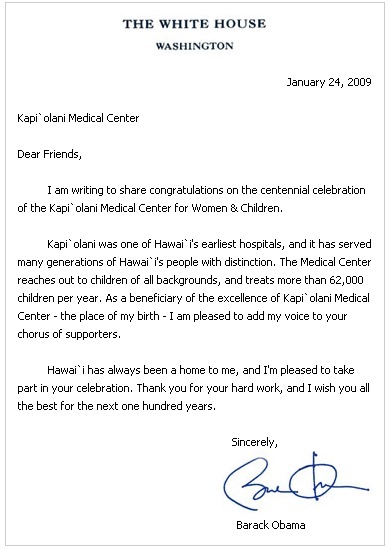 As the birther wingnuts continue their desperate attempts to remove the first African-American President in United States history from office, state officials in Hawaii again are confirming that President Barack Obama was born in Hawaii on August 4, 1961, just as published in the newspapers at that time. Health Director Dr. Chiyome Fukino said Monday she has seen the original birth records that verify Obama was born in Hawaii, and is a "natural-born American citizen." Fukino made the announcement in hopes of ending any lingering rumors about Obama's citizenship. She issued a similar press release Oct. 31. Of course the wingnuts like Orly Taitz, Phil Berg and Andy Martin will continue their relentless and sadistic assault on Obama, his good name, his reputation, ANYTHING they can do to discredit or insult him, supposedly based upon constitutional reasons. Let's face it, many of these attacks are racially inspired. Andy Martin has a history of making anti-Semitic and racially charged comments, such as claiming that "African-American judges ... circle the wagons and try to protect Barry [Obama]" and that "African-Americans are willing to corrupt and abuse their-public offices to defend their own sleazy candidate for office." The Chicago Tribune and several federal courts have stated that Martin has called a judge a "crooked, slimy Jew, who has a history of lying and thieving common to members of his race." In October 2008, Martin appeared on Fox News' Hannity's America and smeared Obama by claiming he was "training for a radical overthrow of the government" as a community organizer. Martin is running for the U.S. Senate in 2010, wrote a derogatory book on Obama and is now releasing a documentary entitled, "Obama, the Hawaii Years". Obviously, Mr. Obama's name is money in the bank for the undisciplined Martin. In 2005, Philip Berg was fined and sanctioned $10,000 for having committed a "laundry list of unethical actions." "This court has grown weary of Mr. Berg's continuous and brazen disrespect toward this court and his own clients. Mr. Berg's actions ... are an enormous waste of judicial time and resources that this court cannot, in good conscience, allow to go unpunished," Joyner wrote." d) and, of course, President Obama himself. By openly advocating armed revolt, accusing virtually the entire federal government of treason, and using poisonous invective against President Obama, she is doing her level best to make it significantly more likely that someone will attempt to assassinate the President of the United States. This lady belongs in prison. There you have it, birthers. Your Birther Hall of Fame: Berg, Taitz and Martin. The Three Stooges. It's time to put this issue to bed. However, the base of the Republican party is so radically right wing, that Republican elected officials have no choice but to not outrage the wingnut following of these three losers. Mike Stark of Firedoglake and Huffington Post thinks he has stumbled onto the reason George W. Bush was elected to the presidency twice: The GOP's base, as exemplified by this ubiquitous "birther" nonsense, must be Insane. In the video below, he puts the birther fictions before a series of Republican congressmen on the hill, and their reactions are priceless. State law bars release of a certified birth certificate to anyone who does not have a tangible interest. A national movement to convince American that its newly elected President is not an American has been organized and is in full throttle. From politicians to so-called attorneys, to news personalities, the despicable acts and claims are obviously fraudulent and intended to not only remove Obama from office, but to bring down the American system of government and to foment a rebellion. Their Fraudulent Claims are Bogus. 1. He was born in Hawaii but is not a natural born citizen. They claim that Obama's father was a British citizen at the time of his birth, therefore Obama had dual allegiance and is not a "natural born citizen". FACT: The Supreme Court ruled in 1898 in the Wong Kim Ark case that a child born in the United States is a "natural born citizen" regardless of his parents' citizenship. 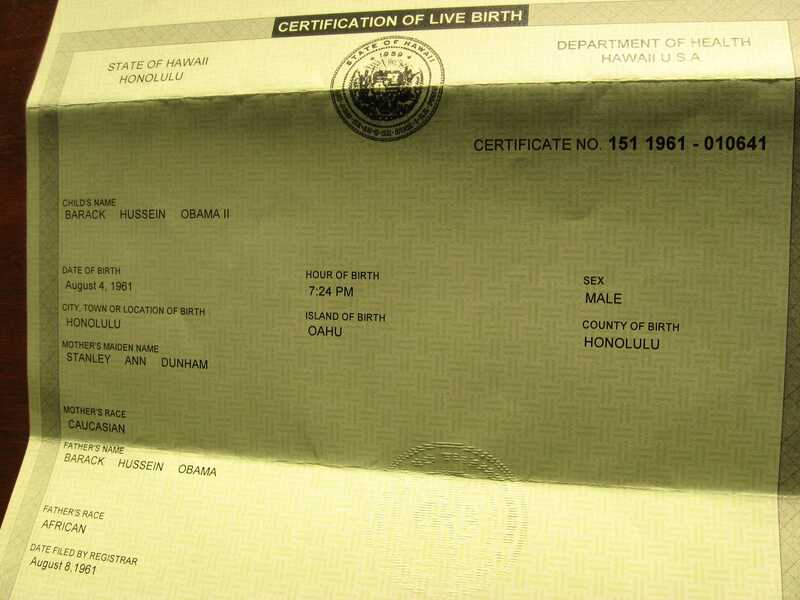 2) His Hawaiian Certificate of Live Birth as posted online is fraudulent and not a real Birth Certificate. Lou Dobbs of CNN is one of those perpetuating this myth. FACT: In the year 2000, Hawaii went to a paperless system and no longer gave out the original birth certificate. It now gives out a Laser copy of the information contained on the original. The State of Hawaii has certified that the President was born in the State of Hawaii, in the city of Honolulu, island of Oahu. What determines the certified record of birth that the State of Hawaii has provided is sufficiently proven under the law to be valid? The question becomes; ‘Is the short form Birth Certificate that was issued by the state of Hawaii sufficient to prove birth in the United States?’ The ‘Full Faith and Credit’ section of the Constitution provides that Congress may prescribe the manner in which the records of a state may be proved. In order to determine what threshold of proof is for ‘Birth Certificates’ we must look at what the laws passed by the Congress have to say in this regard. There is no specific law that has been passed by Congress that is directly aimed at proving the authenticity of a state issued Birth Certificate, but there is clear guidance in this matter. Congress has specifically authorized a means for a citizen to prove citizenship, and this authority has been provided under a General Law. The Congress has granted the Secretary of State, and by implication the Department of State, the authority to issue Passports under US Code, Title 22, Chapter 4.. The granting of authority to the Department of State to issue a Passport implies that the authority to prescribe the manner in which citizenship must be proved has also been granted. (a) Primary evidence of birth in the United States. A person born in the United States generally must submit a birth certificate. The birth certificate must show the full name of the applicant, the applicant’s place and date of birth, the full name of the parent(s), and must be signed by the official custodian of birth records, bear the seal of the issuing office, and show a filing date within one year of the date of birth. That is the law. Claims by the birthers that a birth certificate must show the name of the hospital or physician are bogus. The State of Hawaii has issued a Certificate of Live Birth that meets all of the requirements of CFR 22.51.42. That Birth Certificate is certified by the State of Hawaii, and is considered proven by the Laws of the United States. It will be up to anyone who challenges its authenticity to prove, by a preponderance of the evidence, that the Birth Certificate is actually invalid. State Health Director, Chiyome Fukino, has stated that both she and the registrar of vital statistics, Alvin Onaka, have personally verified that the health department holds Obama's original birth certificate. Fukino said she has personally seen and verified that the Hawaii State Department of Health has Obama's original birth certificate on record in accordance with state policies and procedures. Republican governnor, Linda Lingle, has confirmed this. The Raised Seal that Birthers say doesn't exist. Some birthers insist incorrectly that there's a Hawaiian statute that applied to Obama that would have allowed his parents to register a foreign birth there, and somehow get state officials to say he was born in Honolulu. But as Janice Okubo, the director of communications for the Hawaii Department of Health, recently explained to the Washington Independent's David Weigel, "If you were born in Bali, for example, you could get a certificate from the state of Hawaii saying you were born in Bali. You could not get a certificate saying you were born in Honolulu. The state has to verify a fact like that for it to appear on the certificate. But it’s become very clear that it doesn’t matter what I say. 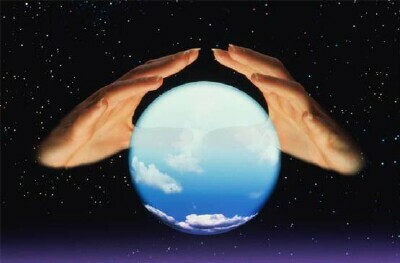 The people who are questioning this bring up all these implausible scenarios." 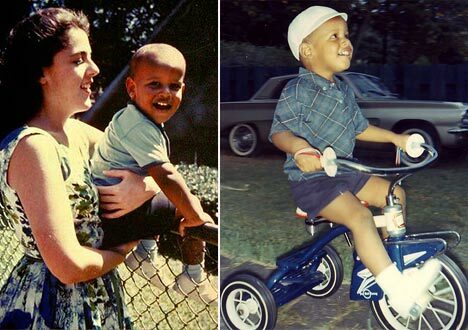 They say that Obama's mother left the comfort of her parents' home in Hawaii to travel to war-ravaged Kenya to give birth in a third world hospital WITHOUT HER HUSBAND whom we know was not in Kenya in 1961, to give birth. She then rushed to Hawaii to submit a false birth announcement in the event that almost 50 years later her son may want to run for President. Obama's grandmother, Sarah, who speaks only Swahili, was the victim of a con in which she supposedly acknowledged his birth in Kenya. This "recording" has been debunked and it has been confirmed that she was saying that she had witnessed the birth of his father, not the President. Birthers have made other claims that have shown up in anti-Obama lawsuits and in the proliferation of “birther” websites. One relies on an audio tape of Obama’s step-grandmother Sarah Obama, who lives in Kenya, being goaded into saying (through a translator) that the future president was born in Kenya before quickly correcting herself and confirming it was her son, not her grandson. (A doctored version of this tape, which cuts off before the retraction, is posted on YouTube. Obama traveled to Pakistan in 1981, when it was illegal for an American to do so, suggesting that he used a non-American passport. The problem is that there never was any such ban. “We have no record of any travel ban between America and Pakistan during that period or since,” said Noel Clay, a spokesman for the State Department. “We got that from someplace,” Berg told TWI on Thursday. In an email, he added his paralegal was “reviewing” his files on Pakistan. Yet the false claim appears in Orly Taitz’s lawsuit on behalf of perennial presidential candidate Alan Keyes, which argues that Obama visited Pakistan “when entrance to Pakistan was banned to Americans, Christians and Jews,” proof that he gave up his American citizenship. What is the truth? Just who are the people who so blatanly disregard the facts and insist that Barack Obama is not a natural born citizen? We'll start with the so-called "attorneys". Philip J. Berg tops the list. He was an ardent Hillary Cllinton supporter and a former Deputy Attorney General of Pennsylvania; former candidate for Governor and U.S. Senate in Democratic Primaries; former Chair of the Democratic Party in Montgomery County, Pennsylvania; former member of the Pennsylvania Democratic State Committee; an attorney with offices in Montgomery County, PA and an active practice in Philadelphia, PA. In 2005 he was fined and sanctioned $10,000 for having committed a "laundry list of unethical actions." Since then, Martin has been unsuccessfully suing the Hawaii state government over Obama's birth certificate. As Media Matters has documented, Martin has a history of making anti-Semitic and racially charged comments, such as claiming that "African-American judges ... circle the wagons and try to protect Barry [Obama]" and that "African-Americans are willing to corrupt and abuse their-public offices to defend their own sleazy candidate for office." The Chicago Tribune and several federal courts have stated that Martin has called a judge a "crooked, slimy Jew, who has a history of lying and thieving common to members of his race." In October 2008, Martin appeared on Fox News' Hannity's America and smeared Obama by claiming he was "training for a radical overthrow of the government" as a community organizer. Orly Taitz is a Russian immigrant who claims to be an attorney, a dentist and a realtor and is now based in Southern California. It is not known if she has obtained her American citizenship. Her law degree was obtained through an online correspondence course, and she apparently became a dentist in Israel. Investigation reveals that she is the target of numerous malpractice suits. 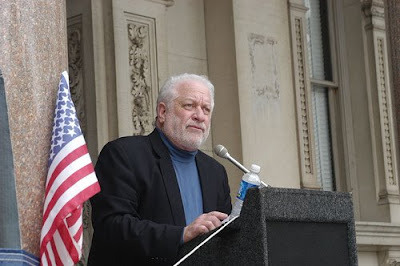 Taitz is quoted in the OC Weekly article as saying in February, "The simple fact is that we are long overdue for another Rebellion in this nation, and I heartily endorse the idea of having one again very soon, preferably starting THIS year!" According to the OC Weekly article, Taitz also said that Obama is a "usurper" and an "arrogant jerk from Africa and Indonesia," and calls anyone who stands in her way an 'Obama thug.' "
According to several blogs -- including ones that both support and oppose birther theories -- Taitz wrote that Obama should be tried for "crimes perpetrated upon American citizens": "There is no proof that you are even a citizen. For all we know, you need to go back to Kenya and wait for your green card, and that after we try you for all the crimes perpetrated upon American citizens." 2) She has personally confronted two Supreme Court justices, when they made public appearances. On both occasions, she tried to engage them in improper ex parte discussion of her case before the Court. 3) At her confrontation with Chief Justice Roberts, she gave two suitcases full of documents to his security detail, later claiming that she had “filed” a Motion for Reconsideration in one case, and a new lawsuit — though she paid no filing fee, failed to file with the clerk’s office, and showed no proof of service on opposing counsel. When her documents were not placed on the Supreme Court docket, she accused Justice Roberts of further treason and demanded his resignation. She believes she’s some sort of “National Prosecutor” at these “Fake Grand Juries,” and more will surely follow. By openly advocating armed revolt, accusing virtually the entire federal government of treason, and using poisonous invective against President Obama, she is making it significantly more likely that someone will attempt to assassinate the President of the United States. Other attorneys who have joined the ranks of the Birthers include Leo Donofrio and Mario Apuzzo. Recently on both radio and TV, CNN host Lou Dobbs has provided cover for conspiracy theorists who claim that President Obama lacks a valid birth certificate and is therefore ineligible to be president. Specifically, Dobbs has repeatedly said that Obama needs to "produce a birth certificate" and cast doubt on the birth certificate posted online by FactCheck.org. Moreover, Dobbs ha claimed that "reasonable people should be interested" in the issue and that Obama has refused to put the questions to rest. Filling in for Lou on his July 17 edition of CNN's Lou Dobbs Tonight, guest host Kitty Pilgrim debunked claims that President Obama does not have a valid birth certificate and is therefore ineligible to be president. Pilgrim said that CNN "found no basis" for such claims and cited "overwhelming evidence that proves that his birth certificate is real, and that he was born in Honolulu," including Obama's birth certificate posted online by FactCheck.org. Pilgrim, a regular correspondent for Lou Dobbs Tonight, issued the categorical rebuttal two days after Dobbs, for whom she was substituting, repeatedly claimed on his radio program that Obama needs to "produce a birth certificate" and cast doubt on the "peculiar" birth certificate posted by FactCheck.org "purporting to validate the president." Other media wingnuts who support this un-patriotic attempt to disrupt our government include famed Watergate crook G. Gordon Liddy, Sean Hannity, Rush "Oxycontin" Limbaugh, and Bill O'Reilly. But the flawed conception of the many “birther” lawsuits, coupled with the inexperience and foul-ups of “birther” lawyers, have only fed the frenzy over Obama’s legitimacy to serve as president of the United States. A survey of the lawsuits filed against Obama reveals a reliance on widely debunked rumors, bogus stories sourced back to web sites, affidavits from “experts” who refuse to provide credentials or even their real names, and frequent and blatant misunderstandings of basic constitutional law. The dismissal of “birther” lawsuits has allowed conspiracy theorists to believe that the information in those suits is accurate–a belief that manifests itself in the emails, phone calls, and town hall meeting rants that have pushed the theories into the mainstream media and the halls of Congress. IS THE CERTIFICATE OF LIVE BIRTH A LEGAL DOCUMENT UNDER FEDERAL LAW? Primary evidence of birth in the United States. A person born in the United States must submit a Birth Certificate which must show: 1) the full name of the applicant, 2) the applicant’s place and date of birth, 3) the full name of the parent(s), and 4) must be signed by the official custodian of birth records,5) bear the seal of the issuing office, and 6) show a filing date within one year of the date of birth. All of this information is present on the COLB that the state furnished to Obama. There is NO legal requirement to have the hospital or attending physician listed or the parents' signatures. NONE. The State of Hawaii has issued a Birth Certificate that meets all of the requirements of CFR 22.51.42. 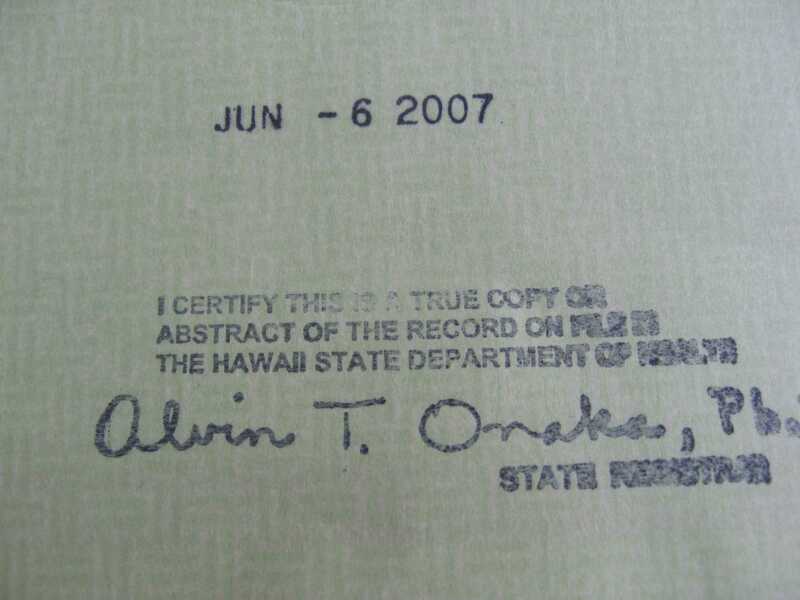 That Birth Certificate is certified by the State of Hawaii, and is considered proven by the Laws of the United States. It will be up to anyone who challenges its authenticity to prove, by a preponderance of the evidence, that the Birth Certificate is actually invalid. There is a very high standard of proof that must be met in order to override the Constitutional ‘Full Faith and Credit’ standard granted to the State of Hawaii in this matter. That standard of proof would require that the complainant show proof that there was an actual fraud committed by the State of Hawaii in the certification of that Birth Certificate, or that the certificate itself was fraudulent. Either way, the burden of proof rests with the complainant. Merely making accusations that this may have happened is not sufficient. CNN researchers have determined that Hawaiian officials discarded paper documents in 2001 when they converted to a paperless system. Because of that, it is reported that Obama’s long-form birth certificate no longer exists and a shorter certificate of live birth that has been made public is the official record. Hawaii’s Certificate of Live Birth was given full certification by the Feds under CFR 22.51.42 and is legal for passports, drivers licenses, and running for public office. John Stewart - "The Born Identity"
John Stewart offers his take on Lou Dobbs and the Birther Conspiracy. To listen to Republican propaganda, one would believe that Canadian citizens were trapped in a terrible Socialist system of free healthcare for everyone. Somebody forgot to tell the Canadians. Online polls conducted by Ipsos/McClatchy surveyed 1,004 U.S. adults July 9-14 and 1,010 Canadians on June 5-7. They aren't scientific random samples, don't statistically mirror the population and thus have no margin of error. Rather, they resemble large focus groups to help see what people are thinking about a particular issue. On key questions of care and costs, patients in the two countries clearly see things differently. 65% of Canadians said they had access to all the health care services they needed at costs they could afford; 49% of Americans felt the same way. That difference probably reflects the costs of health care: Patients pay nothing at doctors' offices in Canada. It also helps explain the fact that Americans see health care differently based on their incomes, while Canadians see it roughly the same regardless of what they earn. Just 37% of Americans who make less than $50,000 a year say they have access to and can afford all the health care services they need, while 60% of those who make more say they can get all they need at costs they can afford. The gap was much smaller in Canada, where 61% of those who earn less than $55,000 and 70% of those who make more than that said they had access to all the care they needed at costs they could afford. In both countries, people with chronic conditions are more likely than those without such illnesses to say that they have access to the care they need. Half the Republicans' opposition to a public health care option comes not from policy differences with the Democrats, or fundamental philosophical differences about the role of government, but purely from a desire to score political points against President Barack Obama, a senior Republican senator has admitted. 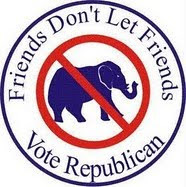 George Voinovich (R-OH) said on CNBC Wednesday that a desire to prevent the Democratic president from scoring a historical victory with a public health plan accounts for at least 50 percent of the GOP opposition to the plan. Squawk Box host Carl Quintanilla asked the senator: "How much of this disagreement with the administration is about the policy of health care and how to fix it, and how much of it is Republicans' ... desire to declaw the president politically?" To which Voinovich responded: "I think it's probably 50-50." Jul 22 - As congress debates overhauling the U.S. healthcare system, Americans with and without health insurance struggle to protect themselves. Special interests and opponents of health care reform in Washington have made their priority clear: attack President Obama at any cost. On Friday, GOP Senator Jim DeMint told a special-interest attack group that if they're "able to stop Obama on this, it will be his Waterloo. It will break him." And just this morning, Republican Chairman Michael Steele backed up DeMint's statement 100%. At the same time, the Republican National Committee is running deceptive ads to scare Americans away from the reform we need. Their plan is simple: oppose health care reform as a political ploy to weaken the President and defeat his entire agenda of change. But if we follow the Republican "Party of No" and do nothing, we'll not only ensure more of the same, but saddle our children and grandchildren with a growing burden of exploding costs and declining care that they may never overcome. “This isn’t about me. This isn’t about politics. This about a health care system that is breaking America’s families, breaking America’s businesses and breaking America’s economy. And we can’t afford the politics of delay and defeat when it comes to health care. Not this time, not now. There are too many lives and livelihoods at stake." This site contains copyrighted material the use of which has not always been specifically authorized by the copyright owner. We are making such material available in our efforts to advance understanding of environmental, political, human rights, economic, democracy, scientific, and social justice issues, etc. We believe this constitutes a 'fair use' of any such copyrighted material as provided for in section 107 of the US Copyright Law. In accordance with Title 17 U.S.C. Section 107, the material on this site is distributed without profit to those who have expressed a prior interest in receiving the included information for research and educational purposes. For more information go to: http://www.law.cornell.edu/uscode/17/107.shtml. If you wish to use copyrighted material from this site for purposes of your own that go beyond 'fair use', you must obtain permission from the copyright owner.. While the pharmaceutical industry spends over $1 million PER DAY to spread misinformation and disinformation about President Obama's proposed health care plan despite the fact that nobody has seen the final version, the Republican Party, the party of NO, has finally come up with an idea. Republican Senator Judd Gregg, Obama's erstwhile nominee for Commerce Secretary, has offered his solution to this crisis. He wants to force the poor to purchase inexpensive HIGH DEDUCTIBLE plans which will not cover the "insured" unless they are able to come up with the $5,000 to $25,000 deductibles, upfront. He gets even more bizarre, but why not just listen to this wingnut? Did X-Files Show Predict 9/11? Palin Resigns -- Facing Federal Indictment?